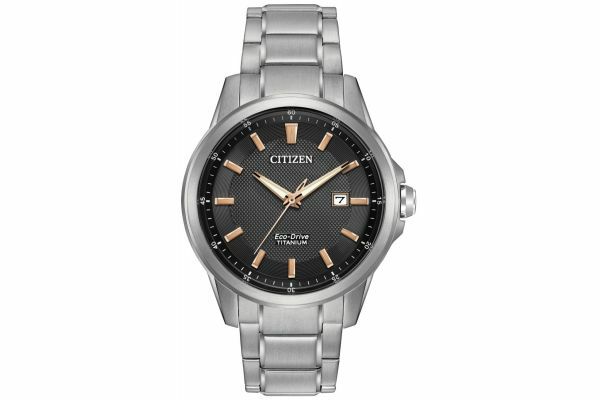 Men's Citizen super hard titanium classically styled watch with a round brushed case. Has a black textured dial with rose hold highlighted batons and hands and a small date display window. Features a brushed titanium bracelet with polished highlights and a fold over clasp. Powered by the famous Eco-Drive Solar movement and comes with the Citizen 5 year guarantee.